So here we are at our Friday Lippy post again. Today i'm showcasing my Dior Addict Lip Gloss Collection. 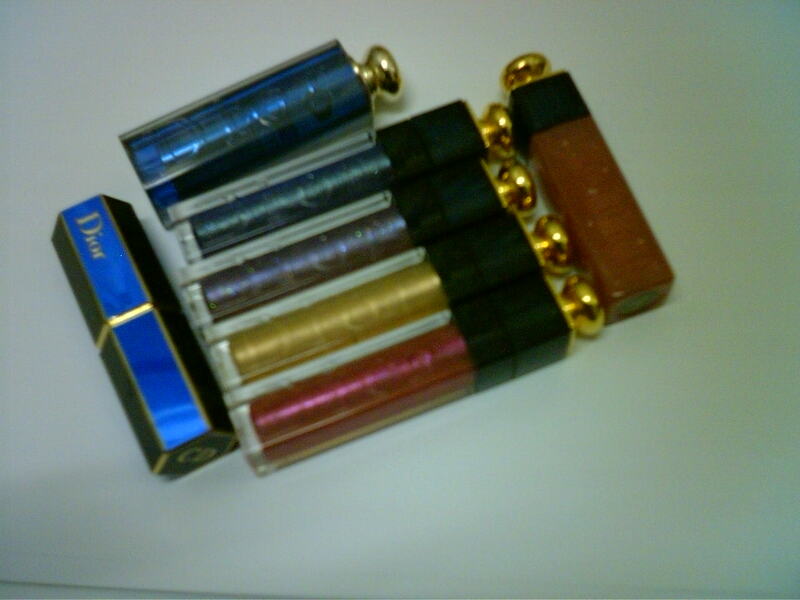 As you can see, I'm a great fan of Dior Lippy! The one on top is not a gloss, its a lipstick. The thing i love most about it is the casing!! sooooooo gorgeous and classy. Its still brand new and i havent tried it on yet, but its light pink but ultra shimmery with shinyshinys. Good for disco i guess, that explains why its still untouched, I couldnt figure out when to use it. Among all I used the color gloss on the right the most. Its pink too, and the second would be the one on the lowest bottom. Its cherry translucent gloss. Lovely shimmers. Refer to my OLD Post on this. Welp, that wraps up my Friday Lippy Talk!! And those in Singapore....its shopping time!!! Shop tip you drop my friends!! !